Wolfgang Korngold (1897-1957) might have been one of the greatest composers last century. But somehow things went wrong. He was a prodigy who wrote some wonderful music as a youngster and was off to a good start when the rise of the Nazis made it impossible to stay in Europe. Like so many others he managed to escape to the Untied States. But the teaching that sustained many of the composer-exiles alluded him, it seems. There he embarked on a successful go as a Hollywood film music composer. Much of it was practically successful but undistinguished, save for his soundtrack for "Robin Hood." The serious music he wrote while in exile I have not heard so I am not a good judge, but nothing at this phase stands out. Nonetheless we still get to hear some of his music in new recordings. 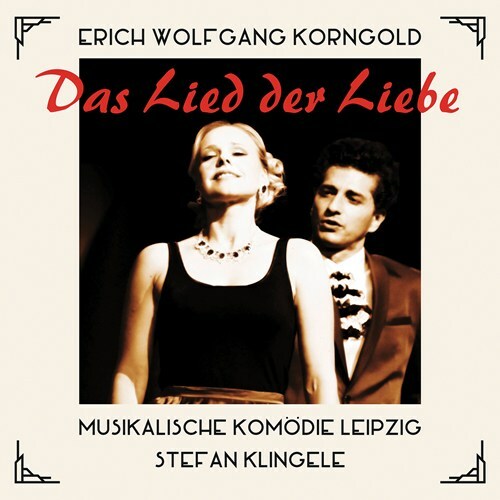 Right now we have a new and painstakingly enthusiastic volume of his 1931 operetta, Das Lied der Liebe (Rondeau 6167), which features very decent vocal soloists and Musikalische Komodie Leipzig conducted by Stefan Klingele. The orchestration shows the sure hand of a master and the pacing is bracing and lively. However most all the thematic material is based on the Waltz Strauss folks, He reworks the music a fair amount, adds vocal lines most of the time. It is a delightful light-hearted but of fluff. I find myself responding to it almost against my will. This is not work exactly worthy of Korngold, but it no doubt gave him popular recognition. It sparkles in its own way. Since the New Year is often deemed the time for Strauss waltzes, this supplies that need in interesting and sophisticated ways. If you are Korngold fanatic you should have this. Similarly if you like the idea of an operetta based on Strauss, all the better for you. For the rest of us there my not seem to be sufficient reasons to own this. Try and hear some of the music if you can however. It is quite well done. A duo of bass clarinet and marimba is a most unusual thing. But if you think of it beyond the initial surprise, there is a sonorous logic to it. It is not like we haven't heard the combination before. 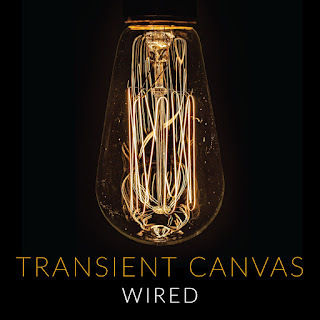 So we have the New-England based duo Transient Canvas and their latest album Wired (New Focus Recordings 218). Amy Advocat plays the bass clarinet, Matt Sharrock the marimba. They are joined by what sounds like ambient electro-acoustics now and again but principally it is these two holding forth nicely in a series of some seven Contemporary New Music compositions. So we get a virtuoso duo series of performances that are always geared toward the aims and objectives of each composition rather than sensation for its own sake, so to speak. The music is consistently absorbing, not perhaps at the cutting edge of the avant extreme, but ever musical and worthy of hearing. The names of the composers may not necessarily ring a bell for you, but this is not amateur hour either. So we hear Kirsten Volness, Peter Van Zandt Lane, David Ibbett, Lainie Fefferman, Rudolf Rojahn, Mischa Salkind-Pearl, and Dan VanHassel. You who like the sound of these instruments and/or like chamber realms of the contemporary a little bit off the beaten track, this is good bet! 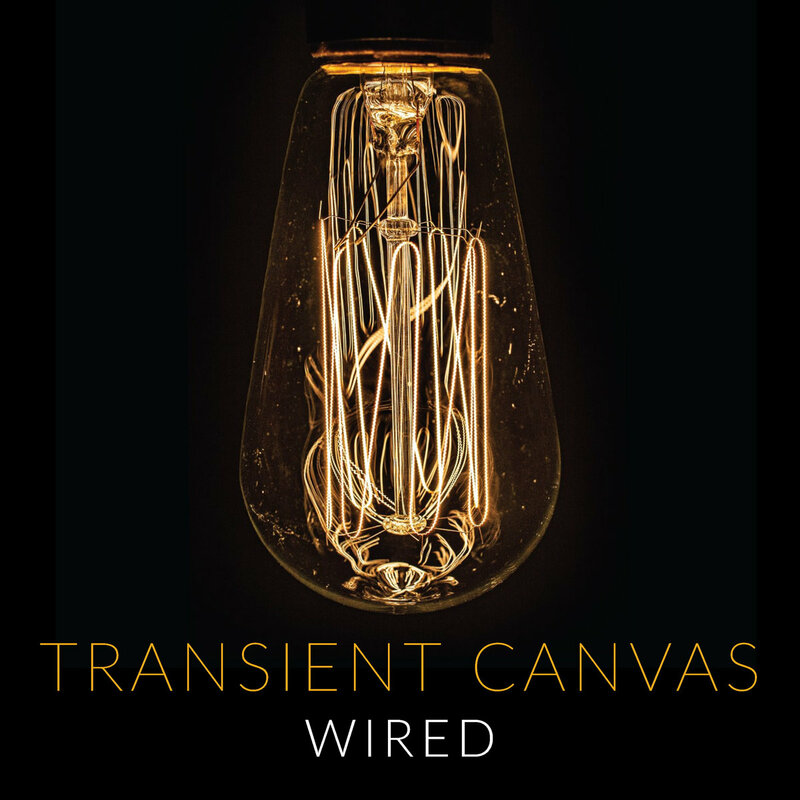 Transient Canvas is a happy listen! This is not the very first album of extended techniques solo cello I have reviewed. But it is among the very, very best. 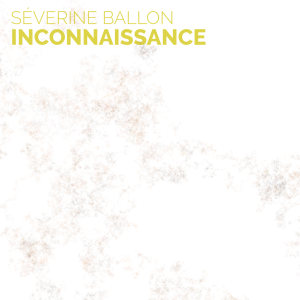 I speak of Severine Ballon's Inconnaissance (2016-18). These are some eight compositions that have come out of her extensive improvisational immersion in the cello as a virtually infinite sound producing agent, so to say. Spending 2015 as a Visiting Fellow at Harvard helped allow her to convert her improvisational experience into compositional forays. These results come out of the three productive years that have followed on the heels of her residency. The liners to the CD explain that Ballon was after a sort of general simplicity of concept for each piece, a way of playing that then gets extended outwards so that the listener grasps each episode as a structural endeavor but then of course with aural exceptionality. Bowing, understandably, is key to the sound production entailed. Equally of course what the right hand does is also key. So for example harmonics are produced with a certain action, etc. All this is properly considered for each work with inspiration but also with a consistency internally for each..
And in the end that simplicity brings us to each segmental composition as a special thing, a unified time and place of performance, as Aristotle might have remarked were he around now and into New Music. This is music of a certain consistency, rather than of a "make a sound, make a different sound" sensibility. Nothing wrong with either way of course but Ms. Ballon distinguishes herself as more of the "same" than the "difference" approach. Yet this is not Minimalism, not at all. And too the realm of expression is the all-in-all, and so too there is a kind of straddling of the performativity of Free Improv with the significant-form goals of New Music High Modernism. It works and works well. You will find this out I think if you listen closely a few times. Ms. Ballon is very worthy of your attention. I am impressed with and happy to experience Inconnaissance. You who adventure into new sounds I suspect would be too. Very recommended. For those that dare. Peteris Vasks (b. 1946) is Latvian, like Part is Estonian. That is, each takes some essence from his musical culture and does something original with it. The music contained on Laudate Dominum (Ondine ODE 1 302-2) shows this most clearly. It contains five recent (2011-2016) Vask works, four for choir and orchestra, and one for choir and organ. Sigvards Klava directs the Latvian Radio Choir, Sinfonetta Riga and Ilze Reine on organ in this program of tonal, expressive and sometimes seemingly somewhat somber music. As the liner notes put it, he "confirms the existence of the vertical spiritual axis that defies storming, breathless materialism. Born from suffering...[it] always grows to prevail, to celebrate and bring the light of hope." In that way there is something of the influence of choral music past. Without imitating the sound of a Latvian choral origin it nevertheless points to it in its minor modal diatonic meditative tonal cast. The gentle suspensions and long-lined hushed meditative mold of the music at times is irresistible, in some ways showing a Modernism we hear in Faure choral music and beyond, yet not precisely so much as preciently, that he makes the roots point to him. In the end, in the last work "The Fruit of Silence" (2013) we feel a resolution into a simple lingering major chord peacefulness that has been denied us quite until this end, and it works for our need for a closure and we happily get that. But not before some of the storming and the urgency of the previous works, "Da pacem, Domine" (2016), "Mein Herr in mein Gott" (2016), "Laudate Dominum" (2016) and "Prayer (Lord Open Our Eyes)" (2011). We hear the reaching upwards of Palestrina, of Des Prez, of Bach and Handel, without the contrapuntal ornateness, but rather a pared-down essentialism that floats like clouds slowly passing above us in a light wind. Yet the music has a clearness, a clarity not at all cloud-like but nonetheless hovering above. It is singular, it is beautiful, it is not quite like any other and so is before us, above us, behind us in its honest sincerity. It there is a feel of time and past upon us in the present, it is in that a continuity in a Modern world, a place such as where we live today. And so I must recommend this to you who seek out the new in New Music. It is ravishing. Peteris Vasks is special and we hear why on this album, very much so. Here in the Western World it is Christmas Eve as I write these words. Yet before I turn on Handel and the rest I wanted to first say something about a very nice new release I have been hearing lately. I speak of a new one of the compositions of an increasingly vital living figure in New Music, Wolfgang Rihm (b. 1952). 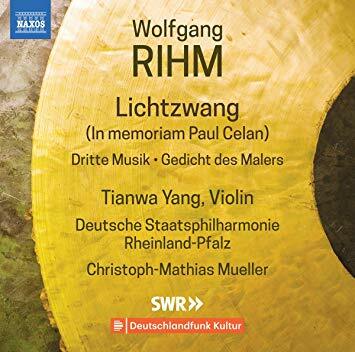 It is the soaring violin of Tianwa Yang along with the Deutsche Staatsphilharmonie Rheinland-Pfalz conducted by Christoph-Mathias Mueller. They give us (happily) Rihm's Music for Violin and Orchestra I, Lichtzwang (Naxos 8.573812). It is significant New Music fare, for those that look for the higher realms of expression today. This is music to sink into, to hear again and so on over a long series of listens, and then to get with it. There are three concerted works, moody and atmospheric. They are the title work, Lichtzwang (In Memoriam Paul Celan) (1975-76), "Dritte Musik" (1993) and "Gedicht des Malers" (2014). Rihm is a High Modernist with his own set of ears. His music promises to keep you interested. This first volume of the violin-orchestra works gives us much to fascinate and stimulate. The performances will grab you too. So buy a present for yourself! 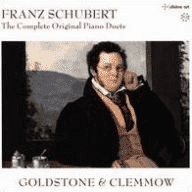 Schubert was one of those composers, needless to say, that did so much in such a relatively short life that we are still trying to catch up with all of it. There is always more to focus into again and again, and then things we might be neglecting. Like how many know his operatic music? 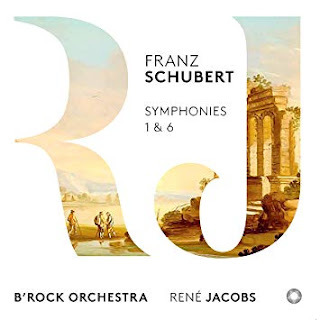 This Friday morning I am happy to report in on the first volume of a new edition of the complete (9) symphonies of Schubert, as played with care and zeal by the B'Rock Orchestra under Rene Jacobs (Pentatone 5186 707). To this end we get to hear their go at his Symphonies 1 & 6. And truly, that is a good place to start, with the classically crisp simplicity of the first and the breakthrough post-Beethovenian awesomeness of the sixth. Very good place based on what we have here, versions that are neither too "Classical" (Peter Maag?) nor too "Romantic" (think of some of the German titan conductors?). Instead we have a somewhat jolly version of the first and its simple elegance, and a very focused and virtuosic version of the 6th, beautifully energetic and three dimensional, a very best version, up there among the very best in my mind. Based on a run-through of the liners to this inaugural volume I can report back that: 1) B'Rock Orchestra is dedicated to a "pure" musical experience regardless of what music they might cover, which goes from the Baroque onwards. Whatever the work, they espouse the original instrument ethos, and you hear that in this case. 2) Rene Jacobs goes about his Schubert as a labor of love. He describes his exposure to the Master as a youth via the lieder. And now of course the symphonies are a true love as well with him. Should we have it any other way? He notes the virtues of following Schubert's performance instructions as sacrosanct, for example the actual tempo indications, and so the better for our ears to hear it as Franz intended we do! If you have not delved into the Schubert orchestral world this is a good place to start. And these versions are as good as any, pristine, mirthful at times, true-to-form, with a joie de vivre that brings it all very much to life here. Even those who have these symphonies would profit from the fresh hearing. I smile and say, maybe take a listen, why not? I very much approve. This one rollicks. It rocks! 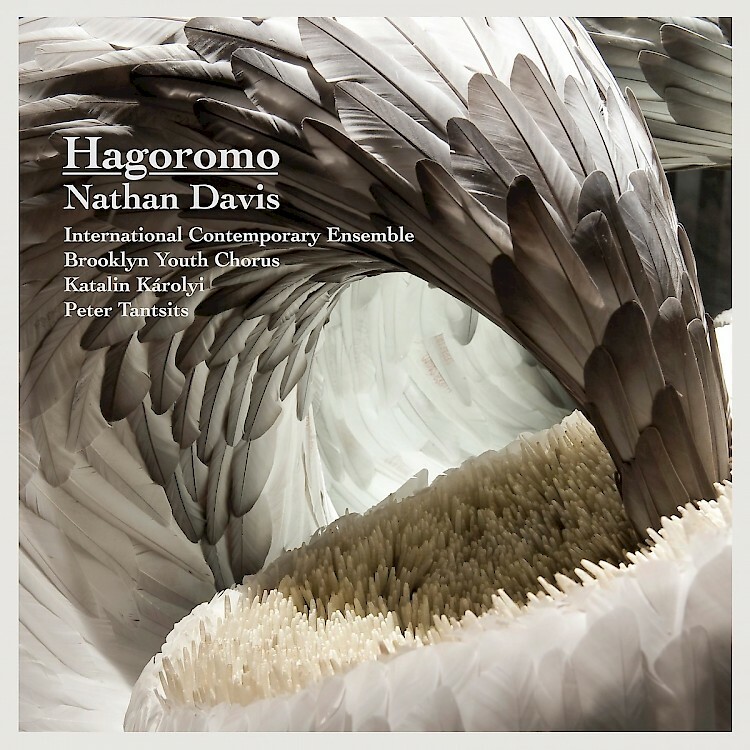 Nathan Davis, Hagoromo, International Contemporary Ensemble, Brooklyn Youth Chorus, etc. I tend to be reassured when certain configurations endure. Piano trios, string quartets, works for orchestra and choral units with soloists, operas, cantatas, etc., in other words the various em-parcelments, the various genres. They are like the fruit cake we received this time of the year from my aunt, em-parceled and delivered I think by United Parcel, with brown paper and tied with string as packages were then. It was reassuring, somehow. Not that I shy away from unusual alternate configurations like Henry Brandt's flute orchestra, but a little continuity can be a fine thing. This morning I turn to such a grouping, an operatic work for the crack chamber outfit known as the International Contemporary Ensemble, plus the Brooklyn Youth Chorus, contralto Katalin Karolyi and tenor Peter Tantsits, under the direction of Nicholus DeMaison. All this for Nathan Davis' intriguing Neo-Quasi-Asian and Modernist resonance Hagoromo (Tundra-New Focus Recordings TUN009). The fact that it is an opera is reassuring, but then too it is innovative in what it does and how it transforms an unexpected source quite readily and absorbingly. I covered Nathan Davis' music with ICE previously on these pages. See the posting from February 15, 2016. For additional International Contemporary Ensemble album discussions, see posts from September 1, 2015, February 27, 2017, April 15, 2017, August 3, 2018, and this just-passed December 14, 2018. The work was recorded live at the Brooklyn Academy of Music's Next Wave Festival. It was commission by ICE and is designated a "dance opera." The performance situation calls for choreography for two dancers and puppetry. The libretto was written by Brendan Pelsue. Hagoromo takes its name and story line from the 500-year-old Japanese Noh drama by the same name. It concerns a swan maiden and a fisherman. The latter finds the former's feathered cloak and wishes to keep it. Negotiations with the swan maiden ensue and in the end there is the return of the raiment to the swan maiden and the subsequent rise of a mutual affection between them. A lively vaguely Asian percussion singularity and an alto flute in harmonics mode begins the work mysteriously and the very pronounced resonance of the work is established. The work falls naturally into the performative of soloists and chorus and the instrumental parts too seem natural. Yet all of it has an almost ritual primality at times, as definite echoes of the Noh music from the original. At the same time in varying degrees there is a High Modernity of harmonic-melodic intent. All this works quite well for a result very intriguing and worthwhile. It all falls most nicely onto the ears. The youth chorus gives the sound quality a heightened mythical aura as does the orchestration as well. It is most lovely music! Nathan Davis is a natural! Brilliant! Part of the celebrated Wet Ink Ensemble, vocalist-composer Kate Soper steps out front with three members of said ensemble for a fascinating two-CD recording of compositions in the special speech-song mode she does so well. 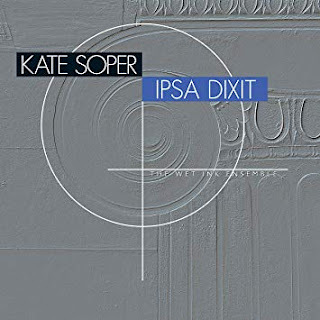 Ipsa Dixit (New World 80805-2) features the vocal arts of Kate Soper as set against a mostly minimal (not necessarily Minimalist) sonic balance of Erin Lesser on flute, Ian Antonio on percussion, and/or Josh Modney on violin. The texts are central to this music. We have the Aristotle and Sophocles views of artful things in "Poetics," then the self-reflexivity of language entailed in Lydia Davis's text on "Only the Words Themselves Mean What They Say," Aristotle on "Rhetoric" and "Metaphysics," the death of Socrates in Plato's "The Crito" and a miscellania of philosophs, people-thinks and word-artists on "Cipher." A poetic economy of means in the service of High Modernist interplay as we think of it in the present-day world, such is what we experience as the all-in-all of the program as we live through it here. Stunning is the way speech, singing and instrumental resources parallel one another throughout. Ms. Soper is an artist like no other yet too we can hear this music in relation to Berio-Berberian's "Voices," Schoenberg's "Pierrot Lunaire" and Boulez "Les Marteau Sans Maitre." The kind of sensibility of these three Modernist masterworks are not lost on Ms. Soper but instead are extended and developed into her very own stance. The music takes some focused and repeated listens, as I find much worthy music does. But in the end we come to hear this as singular and remarkable. I do anyway! I am in the end impressed mightily by it all. Kate Soper and the Wet Ink Ensemble are both a bonified force in New Music today and this album shows us delightfully the why and how. Listen and travel along to a very special musical realm! Some music you need to make a point of hearing and regularly if ever you are to grow to love it. If all is well the love comes and does not leave you for the rest of your life. Such has been the case with me for the song arts of classic lieder. There was some point in my very early adulthood where I knew I needed to understand lieder and so I bought a recording of some wonderful Schubert examples. Wonderful or not I had no idea at that point.The first time through I felt out of my usual swim of things. With later listens it took hold and I have been revisiting the Schubertian wonderlands regularly ever since. Within the orbit of such forced marches into unknown territory I came upon Schumann's own lieder and found it as worthy very nearly as the Schubert set of opuses. Yet I have not systematically addressed that body of works. But now I have a perfect chance to latch onto that. 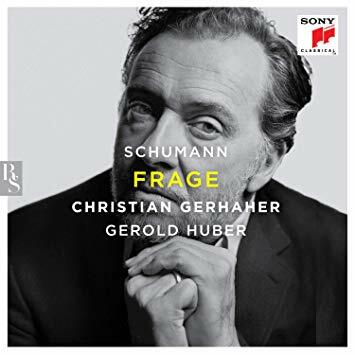 Baritone king Christian Gerhaher has embarked on a complete cycle of Schumann lieder and gives us a first volume in his new recording Frage (SONY Classics 19075889192). It is a good one. He and piano accompanist Gerold Huber embark on a series of readings that seem as poetic and convincing as any we might hear, and of course that is a very big thing. The program contains five very beautiful short lieder cycles and one song that stands alone. It includes the "6 Gesange" op. 107, the "Romanzen und Balladen" op. 49, "Warnung" op. 119/2, "3 Gesang" op. 83, "12 Gedichte" op. 35, and finally "4 Gesange" op. 142. The choice is a nice one as early and later rub shoulders and we experience a wide variety of introspective and dramatic moods. Schumann of course left it all for us to hear and linger within. We benefit from the continual shifting that the mixing of opuses provide. The performances make believers I hope of us all, every song. That is what I take away from it happily. Gerhaher rivals Fischer-Dieskau for his beautifully burnished tone, his eloquent articulation and his very musically and dramatically astute interpretations. As the voice is like a fingerprint there is a happy individual quality to his singing and it is nothing if not masterful in all ways. Huber rivals Gerald Moore for sensitive accompaniment presence. Taken all-in-all or taken song-by-song Frage resounds as a titanic excursion into Schumann at his finest. I cannot wait for the next volume. Super-enthusiastic ratings I happily give this one. Bravo! Molto bravo! What The Rite of Spring was for the orchestra in the coming of Modernism, so A Soldier's Tale was to the chamber music realm. Yet by the very nature of the work as it was meant to be performed by Stravinsky, "to be read, played and danced," the general reception of the work has been somewhat more muted than it might have been had it been a more simple matter of a chamber work in the conventional sense. Its original version, L'Histoire du Soldat was meant for a chamber ensemble, a dancer or a contingent of dancers and a dramatic reading-enacting of the poem in French, as written by C.F. Ramuz. The story (as Wikipedia tells us) is in turn based upon the Russian folk story The Run Away Soldier and the Devil. The original version was premiered by Ernest Ansermet in September, 1918, some 100 years ago now. All good. And thanks to Wikipedia for filling us in on the basic facts of its genesis and birth. So in some ways the lengthy dramatic reading and the full hour or so it takes to perform the work properly has in this way helped slow down the work in its complete dissemination among general audiences in the music world (as opposed to The Rite of Spring). The original French version leaves a non-French speaking listener rather in the dark for long stretches where the narrative holds complete sway. That was remedied by German and English translations for performance, the latter by Michael Flanders and Kitty Black. But even so any language version of course is in a form not readily accessible to other language speakers. Its length too was too long for a typical LP in the first high fidelity era. With the CD it is easily accommodated. 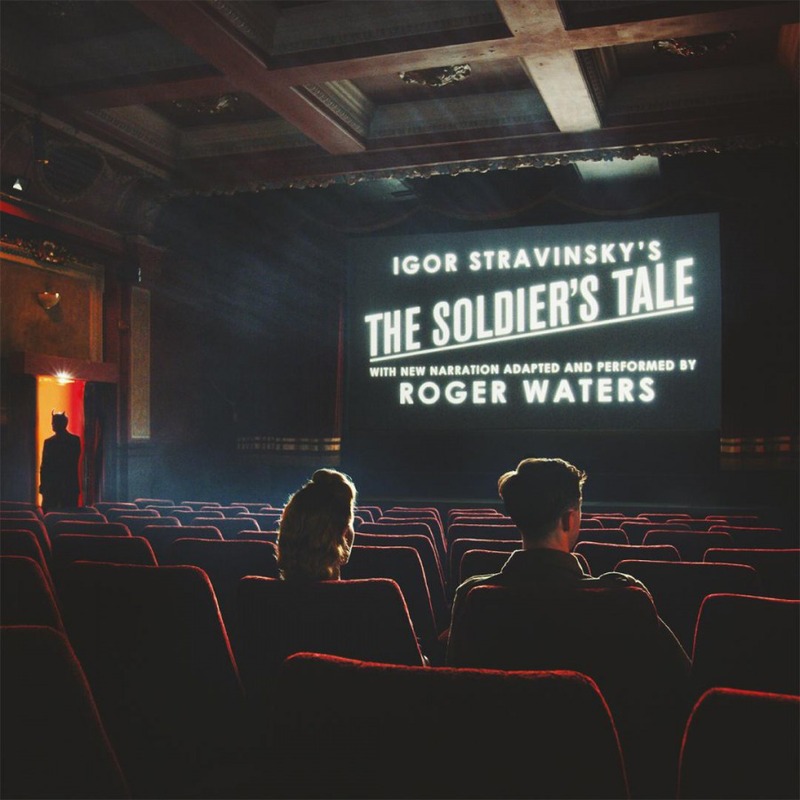 So with all that we now have in celebration of its 100th anniversary the English version as adapted and narrated by Pink Floyd icon Roger Waters with the chamber orchestra part performed by BCMF (Bridgehampton Chamber Music Festival) Musicians (Sony Classics CD I cannot make out the release number, sorry). 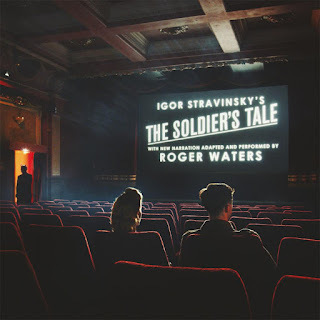 The work undoubtedly wins the day with this quite excellent BCMF performance and Roger Waters' quite dynamic and nicely dramatic narration. We follow the story of the soldier who sells his violin (and his soul) to the devil in return for an enchanted book that allows him to gain infinite wealth. It as is meant to be makes perfect sense of the bizarre march motif that clashes against the multiple-meter incarnations and the percussion player's refusal to hew to the military regularity of the music. So too the fiddle motif in the violin is the soldier's folk enthusiasm translated perfectly to Stravinsky's Modern brilliance. And Roger's narrative with its full "local" colors contrasts tellingly between working class soldier English and the more upscale ESL of the devil. Waters adaptation and BCMF's exemplary instrumental reading gives us a worthy Centennial look at one of the undeniable masterpieces of the past century. In the "Triumphal March of the Devil" the final multi-tempo deconstruction of the march theme triumphs truly, for we hear it as it is meant to sound and we also understand the meaning of the music after savoring the full story as Waters tells it to us. The Devil is the infernal side-stepping of the march into mathematical complexity that belies the march itself. Whereas the soldier and his march is the inexorable forward motion of metrical evenness, the devil is the confounding of that into a hellish multiplicity. In effect the devil turns war and the military into living hell, as no doubt people realized all-too-readily in 1918, the tail end of the infernal First World War. The full brilliance is before us in this version, and we grasp it all as we might have 100 years ago, certainly as Stravinsky meant us to hear and understand it. So I give this a very strong recommendation. It is an ideal way to experience the work and understand it. Waters triumphs! Encore. When music is especially simpatico with music you make or might like to make, it is actually harder to write about it, I think. Today that is so. 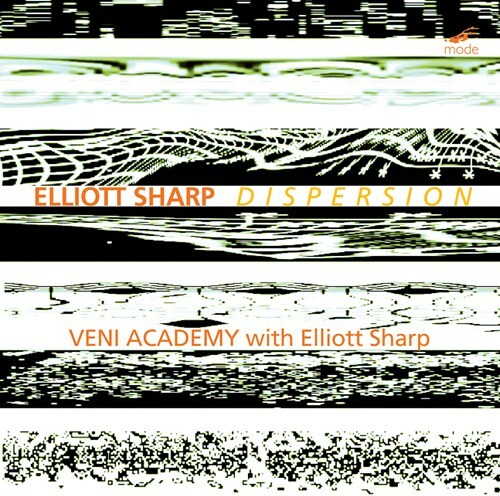 I speak of the new recording of Elliott Sharp's recent works for chamber orchestra, well played by the Veni Academi under Marian Lejava, with Elliott himself on electroacoustic guitar for the final two pieces. The whole thing is named Dispersion, Music for Systems Orchestra (Mode 305). The key to this music I think is in the name "Systems Orchestra." It is processual music, as Elliott is often very much about. There is a freedom of articulation within prescribed arenas and sound concepts, and so the avant improv element is collectively there. One might look back as a paradigmatic example to Coltrane's "Ascension" as one of the initial models for a larger-band collective outlook. And mind you this does not sound like "Ascension" so much as it breathes the air that we all do in the aftermath of such things. The music is in part about differing degrees of velocity, of the simultaneous sounding of similarities in their differences, about the seismic experience of material aural reality as a burst of color and light, of sense and "travelling to," of being and knowing through expressive hearing, where the listener is a participant in the creative process by the act of apperception. Those are words I put on how I have embraced the music in the first five listens. It has avant jazz immediacy and then again new music pre-constructions of a will to significant form I guess you could say. 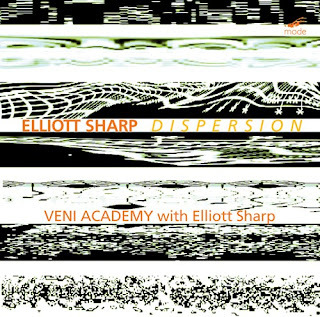 And with this music from the vital musical mind of Elliot Sharp is a consistency and a growth in "Modernism" away from the folk-classical model of unfolding periodic melody and its harmony. This is the full liberation from that and a kind of hocket that is not Medieval nor Pygmy in its starts and stops, its presences and absences but rather it unfolds a new motility more like the vastness of the diurnal cycle or the planetary orbits and their this-space-that-space presence. If that seems obscure then get this album and listen. All I do is approximate what I feel as I hear this very mind-opening music. It is neither so much a one thing or another as it is very much Elliot Sharp music, which is a very important thing. This time now is in part on Elliot Sharp time. Set your watches, put them aside, then listen to this album! I very much recommend it. Icelandic composer Anna Thorvaldsdottir joins us this morning in a program of some seven of her compositions. The CD and the program of works is called Aequa (Sono Luminus CD and BluRay 02227). The International Contemporary Ensemble prevails in a lively musical imaginativeness and well attuned sensitivity to give us subtly alive performances. And that means a lot because there is a beautiful ambiance to this program. It is dramatic and soundscaped, as crisp as a dazzlingly bright winter's morning with the ice blue of the snow reflected out towards you as you are up to greet the sun. Or for that matter whatever other daydream that might come to mind as you listen. It is woolgathering fare, sure, and very good for that! The music is tonal and sound-colorful in dramatic ways. 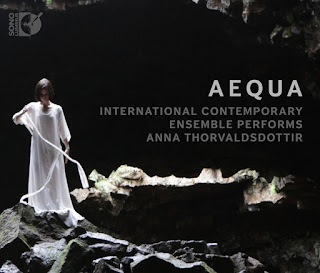 That means if you think of the George Crumb way of heightening the sonic experience by a poetic demeanor, it is not something that does not apply to Ms. Thorvaldsdottir. She is not a member of a Crumb School, surely, but she has in her own way a very poetic vision in the soundscapes she constructs. So you may get an almost droned block of chordality with ornamentation that then changes to form a very slow-motion chordal sequence. And to me it feels like living in the realm of gradual shifts in sunlight on a silent and deserted landscape on a sunny, partly cloudy afternoon. If I hearken back to natural landscape in my description it is because there is a natural feel to this music and that is something one hears happily. Anna clearly seems to know what she is after in the way she orchestrates each moment of the works we experience here. There is something in the Radical Tonality mode about this music if you want to slap a label on it. Karmanic? Oh that probably is a bit much as a descriptive label. But there is something rather cosmic about this music if you will pardon my saying. It feels quite Modern in the end, Post-Modern I suppose too with the droning and spacey toning of all of it. It all manages to mean to project a vision in sound to us as we listen. I should mention that the album comes with two disks as is often the case with Sono Luminus releases. One is the standard CD, the other a BluRay with multiple channel 5:1 configurations. It is music that probably would appeal to a lot of people if they allowed themselves to open up to it. From solo piano to large chamber ensemble, the music is sculpted with some brilliance. The music spans the compositional period of 2011 to 2017, right now in other words. It is a program that allows your musically apprehending mind to luxuriate in thick growths of shifting sounds and to travel a path to many imaginary spaces no doubt. I do when I play it at least. It is an experience you will find yourself returning to and ultimately will I hope live inside of happily when you can. Thorvaldsdottir seems a central aspect of what is happening today. If Iceland has a sound, it is Anna's sound? Probably, yes! An exemplar yet also a joy. Highly recommended. I am happy when someone I have been following musically makes a huge breakthrough. From a purely ego sense it means I was right all along, but that is stupid thinking. It just means it is a wonderful musical moment for me. I've been a champion of women in music I guess since when I enrolled at Berklee College of Music and there were maybe only three women in the entire student body. And every guy enrolled there (? I do not know) was after them, wanted to "date" them! What it pointed toward was that Gustav and Alma Mahler thing, or that Brahms and Robert and Clara Schumann thing. It was a reality that musical people tended to find one another congenial, and in this case as potential mates. This is not important though for the wider picture here so much as instead the fact that half of our population are women and if we are not encouraging those musically inclined then it is OUR loss. We miss all that music. Common sense. So since then I have tried to give equal attention to the music women make (of course) so wonderfully well when they are allowed to do so! In the midst of my listening and appreciating years ago an old friend who at the time did marketing for A&M Records was kind enough to send me some music that they were putting out just then. One was the first album by Imogen Heap. Wikipedia says that first album iMegaphone came out in 1998, but that seems very much later than I recall. No matter. I was still living in Butler, I think! At any rate I heard something different and very interesting to me. It was singer-songwriter alternative I guess. But distinct in a very interesting way, I thought. After that was Frou Frou which was more like 1998 as far as my memory goes, considerably later? I am not here to question anyone. Heap was not a huge success initially. Frou Frou got her considerably more attention. Anyway I followed her musical trajectory with great interest. Right now there is her latest which to me is a kind of a fulfilling of a promise, of an affirmation of her presence and musical brilliance. 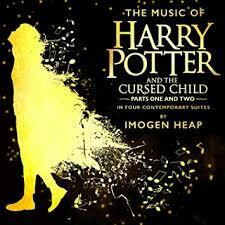 I speak now of this new one, the full title of which is Harry Potter and the Cursed Child Parts One and Two in Four Contemporary Suites (SONY Music Masterworks). The album info states that this is an "album performed, engineered, recorded, mixed and produced by Imogen Heap." That tells you that this is "Electroacoustic-Electronic" at base as indeed the keys and vocals of Ms. Heap are very much to be heard as the basic ingredient that is then extended into a full "orchestral" ambiance. And truly, her music has evolved to this point where we hear a full CD of "serious" music intended for the play of the same name. But aside from that obvious origin (the play, which will not concern me here) this is in fact a real opportunity for Imogen to show what she can do when let loose. It us stunning fare. She has fully mastered the studio to the point that her total sound is in its own way like the Brian Wilson of Smile, with a compositional-orchestrational sense all her own and incredibly imaginative. It is as if the "Prog" of people like the Beatles and George Martin, ELP, King Crimson and Pink Floyd has not been forgotten but instead relives in new form for something that realizes, that achieves the status of New Music, yet the roots of such an evolution are not disguised. Of course this is not something that sounds like Cage or Stockhausen. It is tonal. But it does not suffer from a sort of patronized dumming down as can be the case out there today at times. It is fully musical, fully developed and brilliant, just brilliant. So it is with joy that I listen to this again and so again. The studio is the concert venue, as it has been since Sgt. Pepper's when things are right (or for that matter since the early Electronic Music days on). And there is a spurt forward with this music in the logic of that development. I will not try to describe the totality of what you will hear with this work. It is masterful, cosmically ambient within a kind of maelstrom of expressive thrust. It is in a way a culmination, first off of the sounds Imogen Heap has been working towards, but also of the "serious" side of Art Rock I suppose you could say. It is very beautiful music, very good to hear repeatedly but from the first it grabs hold of you. It is something that was there from the very first Imogen Heap album, an original sense, and she has arrived completely with this majestic work! Put this into your ear space, but do not expect it to be x or y. Then you will be drawn in, I hope, on its own terms. Do hear this if you can. Get a copy. Listen! Since I started writing this blog in 2011 I have had the chance to review a number of versions of the Bach Cello Suites (do a search in the box in the upper left-hand part of this page to see them all). Is there more coming out these days or am I just looking at Classical music releases with a more detailed eye? And have we more genuinely worthy versions being made now than ever before? I cannot say for sure. Certainly the first movement Prelude of the first Suite (echoed also in the first movement of the "Well Tempered Clavier" and the Solo Violin Suites as well) has in the last couple of decades become a favorite for throwing into an ad or using in a drama and good for all that in the end, if it leads more people to be exposed. Truth is I never tire of the music no matter how often I hear it especially when played by a talented interpreter. 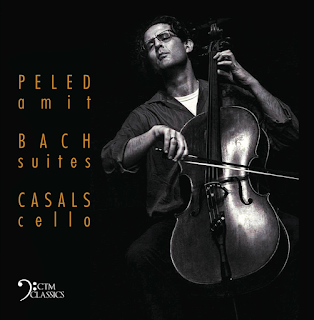 And so I return today with yet another version, that of the remarkable Peled Amit on the very cello that Casals played in his prime (a 1733 Goffriller with an extraordinary sound) (CFM Classics). The liners to this first volume of the Suites tells us that the last time we heard the 1733 instrument for this music on record was when Casals himself recorded the Suites in 1936. Casals made the move to be the first cellist to feature the Suites in concert. Before then the music was considered strictly for pedagogical use. So in some important ways this recording is a full coming around. Of course all that is very well, you might think, but it means nothing if Peled does not give us a world-class performance. He certainly does. Most notably Peled uses a very expressive rubato for that famous first Prelude. Beyond that he devotes a good deal of animate sound centering and forward motion to his readings. There is little ornamentation but then the very full richness of his tone and inspired execution is a wonder in itself regardless. There is a kind of penetration to the psychic epicenter of the notes, surely a bit of the warmth of the Casal emphasis yet a bit more of a Modern forwardness. And a very jaunty sort of snap when that is warranted, we get that very nicely as well. It is a wonderful performance, surely one of the finest of our recent times and so I warmly recommend it. I stands its ground as a very beautiful reading that any lover of this music will be glad to have and rehear often. I know I will! If this music and its performances here are virtually "no brainers" there is precedent. In my experience anyway. Very many years ago when I was a student in Chicago I was a member of the Musical Heritage Society, who released mostly mail order albums of recordings that they licensed for US distribution. Their selection of the month for January was a two-lp set of music for string orchestra which arrived in my mailbox the first mail day of the new year. I was feeling vulnerable as one does in those first days of, what was it, 1983? The set started out nicely with Vaughan Williams' "Fantasia on Greensleeves," which was a definite way to begin the year. After all a version of "Greensleeves" with different lyrics was the Christmas song "What Child is This?" and so it seemed seasonal. Now we have another very different album, which is out right now, this time music for a different instrumentation. 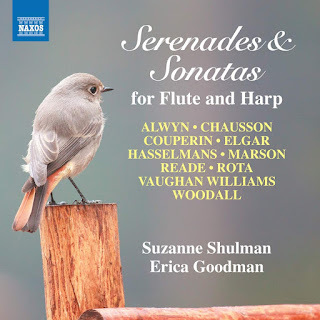 Serenades & Sonatas for Flute and Harp (Naxos 8.573947) it is called. And it starts out with a flute and harp arrangement of Vaughan Williams' "Fantasia on Greensleeves." So it is good to hear this just now, though it would be good anytime. It goes without saying that such an instrumentation lends itself to the idea of the "Ambient" though the music was written long before that catch phrase became topical. 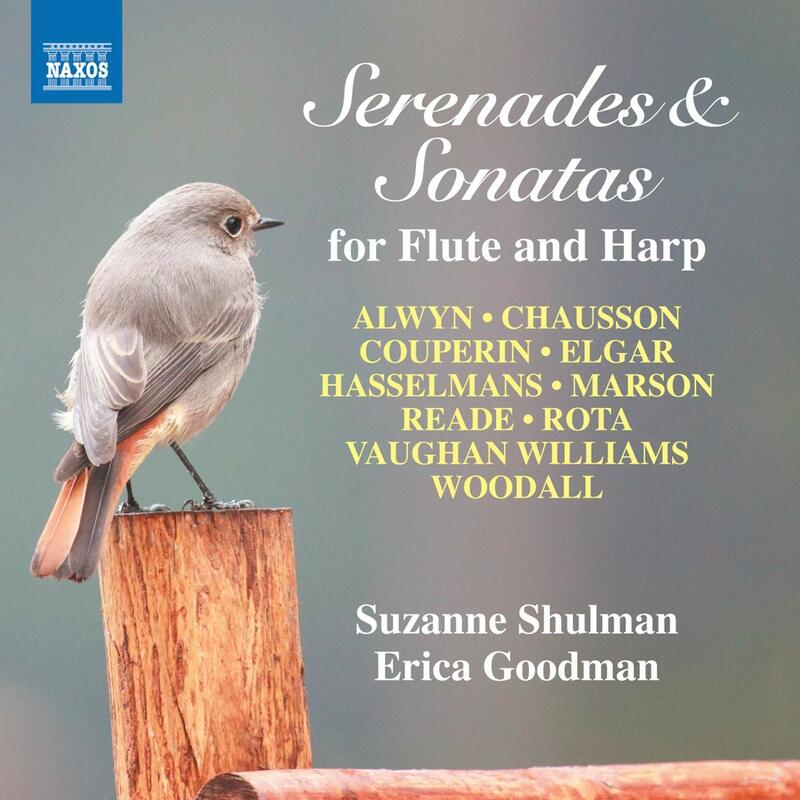 Suzanne Shulman on flute and Erica Goodman on harp ensure that the music comes through with bell-like clarity and ravishing sonarity. If you love this instrumentation in your head the program will not disappoint. It is a wide ranging and pretty adventurous gathering of singular music. The early 20th century English proto-Modernists/pre-Modernists are well represented by Vaughan Williams, William Alwyn (Notably his "Naiades - Fantasy Sonata for Flute and Harp"), and Edward Elgar, among some others not as well known. Then we get some welcome additions in a couple of Francois Couperin miniatures, a little Chausson, Nino Rota and so forth. This is not a sound by which to set the world on fire. But then for the purposes of this music we do not always want to set the place blazing so much as we might feel a bit damaged by life and seek to recover from the "holidays." That would include a New Years Day hangover of course, though that is not my thing anymore. It is substantial music that manages to bring you some psychic relief without resorting to New Age pablum, so listen without guilt! I would highly recommend this to anyone who wants something soothing or just loves the idea of the harp and the flute together. It is a very nice way to while away some time, to prepare for or live through winter dreams or the promise of springtime, or any number of other ways to get into a poetic haze. Very nice, this! And it is substantial musically. For each one of us as many starts and re-starts as we go though every year at the end of it we try and sum it up. Similarly the blur of Modernity is an ever-evolving series of beginnings and re-beginnings. And at the end of each year some picture emerges. 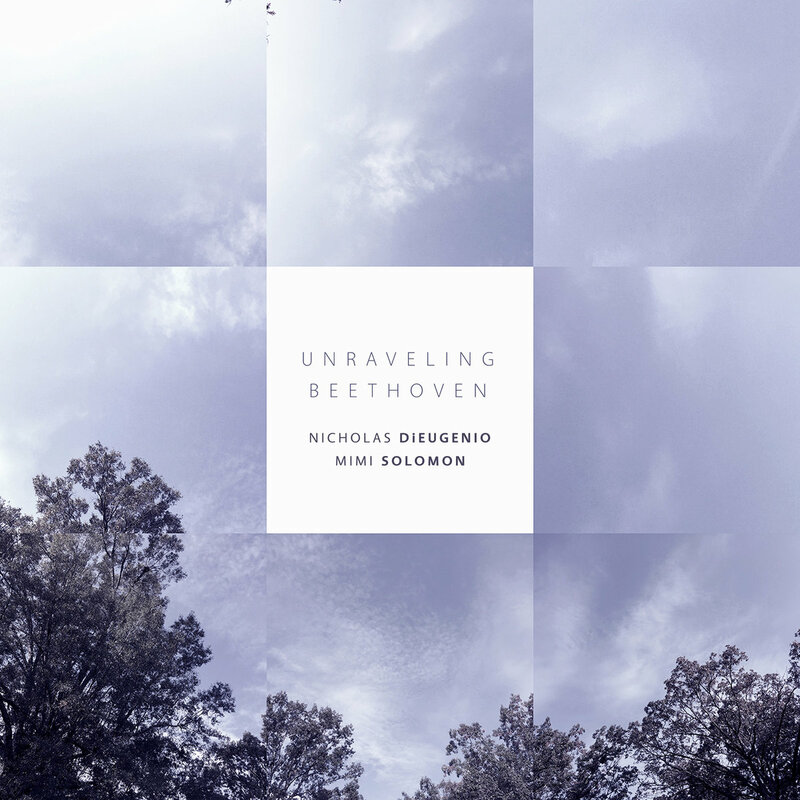 I feel a definite reset this morning as I listen for the fifth time to a new series of violin-piano Tonal Post-Post-Neo-Classical works played so vibrantly by Nicholas Dieugenio on violin and Mimi Solomon on piano. And so we have this morning Unraveling Beethoven (New Focus Recordings FCR 217). The idea for this album was to commission five composers to write a work for violin and piano that took into account the ten Violin Sonatas Beethoven produced. Each work is a kind of unraveling and a reweaving into a new fabric. I react to each without thinking at all of that except in passing--for if listening without aid of a compass we follow the music willy-nilly--and so at times that seems best! I do so here. I hope it will help you see what is in this music via a kind of personal listening map in my own time and space. "The Sky was Good for Flying" by David Kirkland Garner conveys lyrically stunning results in what one might call the "furling" motif for violin and piano. It is highly lyrical and very memorable. Allen Anderson's "Linen" feels even more like a furling and a re-togethering of fine cloth. It has a bit more of the Modernist Edgy-Tonal spice distributed over its five Expressionist movements. You feel that Modern legacy strongly in ways that point it forward. There is the ghost of Berg's "Violin Concerto" to be heard here and it is a happy recalling of the power of that work. No doubt too there is the Sonata Beethoven as well, but it does not reach out and grab me directly as much as it lurks pervasively in the bedrock of this work. No matter for it is fine music. "Olmsted" by Robert Honstein has the motility of minimalism yet it moves forward in ways that are directional more than circular, which of course befits a nod in Beethoven's direction. There is real engagement in the effervescence of it all. It makes very new use of the classical motion ideal of bow movements across all strings and a pronounced momentum in piano passagework--both rethought here in glowingly fresh ways. Then there are spaces for lyrical contemplation, which then blossom forth in intimate warmth and tender beauty. The scherzo-ish bursts of rapid figurations and silence set up a mercurial section that vibrates with expressive intensity. The work ends with a gentle dalliance in a motif that feels like a slow-motion trill and then a descending harmonic-"continuo" underpinning to set that all off very nicely. It is music that stands forth in lyrical singularity, post-Beethovenian and a feeling quite Neo-Classical in its working through of the bright glow of a tonal immersion. Tonia Ko's "Tribute (Axis II)" makes a headlong re-plunge into the more Edgy-Modernist world. The spectre of Crumb can be heard in the ghostingly ghosty open piano sounds and the mysterious high harmonic violin passages. Yet it is forward moving, not just some easy-peasy imitation. Well done. A probing aural journey is this. Jesse Jones' "Scherzo (After Beethoven)" is the most Ludwig-ian of all these. It addresses the composer's love for the rapid-paced aspects of Beethoven. We feel the love in there and the good willing towards the Beethoven magesticality! A great big grin is this rapid and short conclusion! So there we have it. It was a great idea and it inspires music considerably more subtle and wayfaring than a typical gesture of "tribute" might imply. In the end that is the ideal result since it brings the music forward rather than staying at rest in a backward modality. The duo of Dieugenio and Solomon are world-class and extraordinarily nuanced in how they bring out all the implications of these works. Bravo. Neo-Classicists take note. But all should no doubt hear this. This another in my new MINI Review Series, a short mention about worthy music where there is not enough time to cover all thoroughly. There is a mature period Bohuslav Martinu Modern style that contains a kind of harmonic movement one who knows his work would recognize. On today's program of works Martinu does not give us the trademark way, but rather playfully enters a kind of Modern realm you do not expect him to be in, along with some more pronounced Neo-Romantic elements.The album is called Small Storms, A Collection of Short Pieces (Navona 6092). There are six works included here, all for cello and piano. Five are multi-movement journeys, one is a simple short offering.Meredith Blecha-Wells appears on cello, Sun Min Kim is on piano. They do a fine job with the music, showing well developed stylistic sympathies with Martinu and able tone and technique. 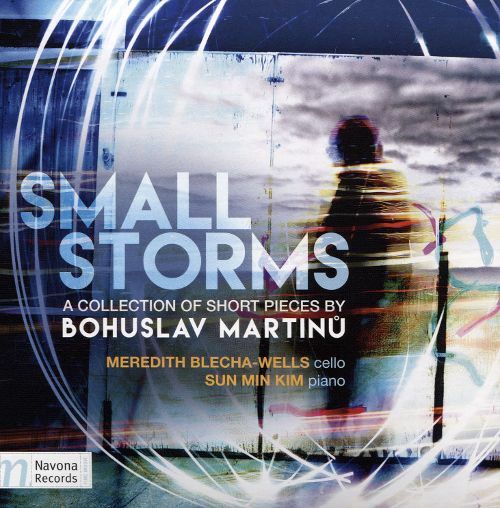 Any Martinu fan will find this a good listen and a revelation about another side of his style not often seen. Recommended. This is the latest in the MINI Review Series--for music I find I like yet do not have enough time to cover fully. 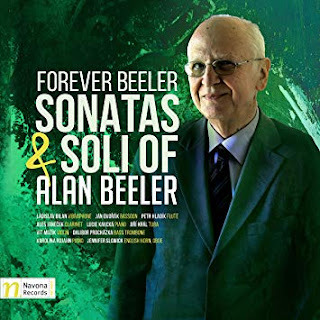 Alan Beeler (1939-2016) was an American composer who based on the evidence of recent releases deserves wider recognition. There is great character and personal originality in the latest volume Forever Beeler, Sonatas & Soli (Navona 6085). We get a chance to luxuriate within 14 pieces on this valuable survey of small chamber groupings and soli. There is a Sonata for Piano plus five more works or multi-movement works for the instrument. Then there are works with or without piano accompaniment for vibraphone, clarinet, flute, English horn, oboe, bassoon, bass trombone and tuba. This another in the MINI Review series. Music that is worthwhile and needs a mention. 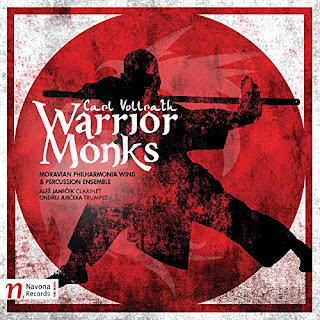 We have here the chamber wind orchestral music of Carl Vollrath, in the volume Warrior Monks (Navona 6102). It features the Morovian Philharmonic Wind and Percussion Ensemble under either Petr Vronsky or Stanislav Vavrinek. They sound able, fit and sympathetic. Three works are at hand, all Modern in a descriptive tonal way, dramatic and evocative. It is something well wrought and worthy of your time if you look for something unknown to you. 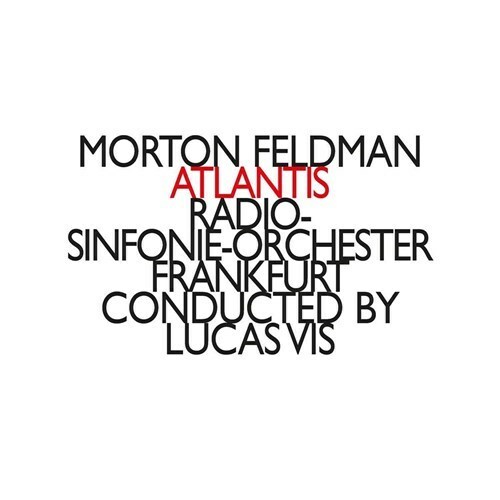 If there were no Morton Feldman work about the lost continent Atlantis (hat[now]ART 206) one would have nonetheless to imagine it. Once you hear of the fact that there is such a thing if you know Feldman you feel like this is a very good idea. After all Feldman (1926-1987) is practically a lost continent unto himself, a visitor from a world we only know by his presence. Though he was a part of the Cage school of course, he also was very much a school of one. I am thinking if there ever was somebody who survived the Atlantis deluge and remained on earth it was him! He was a visitor and we were blessed to have him among us. There is a Zen concentration to his music that was virtually there from his very first published works. Atlantis combines in a vibrant program three works from two vital periods in Feldman's development. All three exhibit that concentration. All are fashioned for and can be very fruitfully played by chamber orchestra. The key perhaps is in the variable fashioning. The title work Atlantis (1959) is graphically notated and so it stands out as created out of the murky waters of created destruction, so to say. It scurries and flurries with an insect-like hyper movement and so then stands alongside the more Apollonian later works "String Quartet & Orchestra" (1973) and "Oboe and Orchestra" (1976), which have the more "staid" open-ended mysteriousness, more typically Feldmanesque in the long-run empty horizon quality. And so in a way they seem more typical of a vision of Atlantis? Yet taken all together they flesh out worlds of mystery that never are far from the Feldman vision. In the liners Art Lange speaks lucidly of how total process of creation with the AB Ex painters determined the identity of work and being--that Cage and Feldman rejected predetermined form as constitutive yet too found critical the overall processual elements in crating up, creating up an oeuvre. Well in order to come to grips with all of the above you simply have to hear this music for itself. Lucas Vis and the Radio-Sinfonie Orchester Frankfurt give us convincing readings that stand up to repeated hearings and consistently reveal the more of themselves the more we put into the listening. 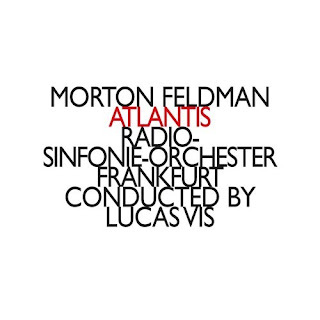 It is like much of Feldman an extraordinary listening experience--and the two seventies works play against and offset Atlantis to complement it and give us a very absorbing whole. Heartily recommended to anybody with ears! When a new release arrives from the auspices of the Boston Modern Orchestra Project, I generally perk up. It is because I know that whatever they are up to is a good thing, really. 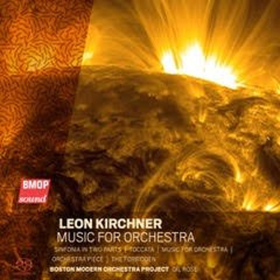 So a few weeks ago the anthology of Leon Kirchner (1919-2009) Music for Orchestra (BMOP 1060) was in my mailbox and I was intrigued. I had found years ago the LP of his Pulitzer Prize winning string quartet and have listened with pleasure since, then I have appreciated some music for vocals and large chamber group I found subsequently in the classical bins of the past. But after that I for whatever reason lost track of what he was doing and now to my chagrin I see he passed away in 2009 and I did not even hear about it. The good news is that this anthology conducted with the usual sympathetic care and enthusiasm by Gil Rose catches us up with some important works he composed between 1951 and 2008. It forms a sort of mini-retrospective. It serves to inform me (and I hope you too) that he was a remarkable force in orchestral music--with vision and orchestral-orchestrational expressivity of a high order. The jacket blurb sums up what we should consider admirably. He studied with Schoenberg, Sessions and Bloch, which is rather amazing, really. He started with a Hindemith-Bartok-Stravinsky nexus, followed the Viennese school into 12-tome and in the process became someone original. Modern in the high sense, and very substantially musical-inventive. You listen to these excellent performances and a larger picture of Kirchner gradually emerges. The grand maturation comes with his title work "Music for Orchestra" (1969) and follows with the later sequel "Orchestra Piece (Music for Orchestra II)" (1990). Both works carve out a very original orchestral demeanor that is both Modern and noteworthy at every step. He sounds like the century in which he flourished, surely. And yet he sounds like an exemplar of Kirchner and nobody else. And the bookended works are nothing to sneeze at either, from the early strivings of "Sinfonia in Two Parts" (1951) which sounds very much as an avant voice of the time, a musical voice of promise. The growth continues in the "Toccata for Strings, Solo Winds, and Percussion" (1956). In the farewell work on the program, "The Forbidden" (20008) we hear a Kirchner undiminished, fully flowered and poignantly moving forward even at the edge of his life experience. There is a vital expressivity to this music, a vibrancy, a sureness and an eloquence very much with a kind of honest directness. He follows his muse throughout and does so wisely. For he was someone with a vision of what the present-day could and did bring to the imaginative inventor of tones and textures. If you take this music as seriously as you should, and spend time in the labyrinths of form and forward movement, you might well conclude with me that this is a sleeper, something that comes in like a lamb, so to speak, but then goes out like a giant! Fee-fie-fo-fum! Highly recommended. A US composer we should not forget in a finely performed program of gems. LaMonte Young kicked off the Minimalist revolution but Terry Riley made it live and breathe with his seminal composition In C. I was happy that my friend Fuzzbee played the record for me in Boston, 1971, and my life was suitably hastened by it all. For those not familiar in depth with how the music works it is a series of phrases mostly within the key of C which fit together remarkably well. An unspecified group of instrumentalists (and vocalists) gather together and with the aid of a constant pulse (ordinarily the piano) they play each phrase as they see fit, together and apart, moving each artist as they see fit to the next phrase until all the phrases are covered. There is overlap continually between where each player starts the phrase and the natural layering that occurs as each group of players overlap in terms of who is playing which phrases at any given point, so long as all follow the sequence of phrases. So the template allows for much spontaneous and even planned variation. It is a work that gives rise to a wonderful sound provided all the players listen to one another and keep in the flow of it all. 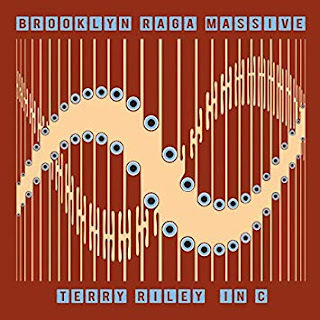 There have been rock versions, a Chinese instrument version, and now the Brooklyn Raga Massive give us a (mostly North) Indian Classical version with suitable instruments and vocalists (Northern Spy NS094). In this case, rather brilliantly, the pulse is sounded as a tabla accompaniment. Terry Riley both as the composer of In C and as improviser, as composer of other later works, in all of this he shows a kind of loose affinity with Indian Classical orientations--drone, modal figurations, etc. And happily the Brooklyn Raga Massive is attuned very much to the attuned nature of In C. They give us a flowing reading that takes the liberty of arranging parts and providing solo space to make it all that much more Indian and bring an entirely new life to the work. They make it all sound at times like some of Ravi Shankar's wonderful film music, for example. And to me that is a very good thing. And they do so in ways you might have imagined and hoped for when you heard about the project. Or at least that is very much the case for me. It is a triumph of sensitive musical listening and conceptual rigor, so to speak. It works and it works wonderfully well. So anyone who might think the idea interesting, just go right ahead and listen, buy, make these folks and the dedicated label who boldly goes here, make them be happy to wake up and keep on going forward! Buy it, then. That is what I recommend! Very much recommend. As I have been listening to this new version of Gustav Mahler's Symphony No. 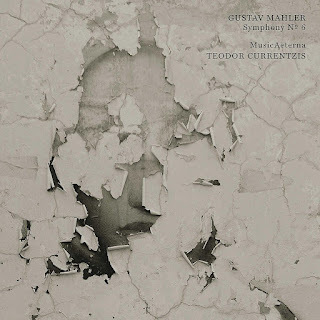 6 in A minor "Tragic" (Sony Classical 19075822952), which is exceptionally well done by Teodor Currentzis conducting MusicAeterna, it suddenly becomes clear to me. I hear Mahler spending his summer like always with Alma in a mountain chalet, his music waxing folksy as they soak in the feeling of the Austrian countryside, while Alma perhaps pops in to check on how he is doing. They live, I can feel that whole summer for them. And it contrasts with the seasonal struggles in Vienna with its factions and intrigue. You can hear the contrast. What a pictorialist he was. Incredibly powerful musical imagery he created. Glad for all this. And in large part we can thank Teodor Currentzis and what he gets so wonderfully out of MusicAeterna for the extraordinarily clear sonic staging that allows us the climb right inside the music as if for the first time. Each nuanced sectional bit on the way to the whole is handled with precisely etched detail, real care. Now are we to read this entire symphony as a lesson in Tragedy, an anticipation of the horrible catastrophes of the Modernity of the 20th Century? Sure if you like. But you do not have to look any farther than Mahler's own life in Vienna and the brutal politics of Vienna's music world. The point is not as much the pointing towards in this incredibly detailed reading of the 6th as it is the overall series of pictorial moods and the brilliance of their detailed sonic wonderment. The '50s-'70s in the music worlds I have grown up in (that is in the USA) were most definitely a time when the literal-pictorial were very much at the forefront. "Mood Music" albums in a way came out of Strauss' literal programmatic view of music, the popularity of which perhaps peaked when "Thus Sprake Zarathustra" figured prominently in the film 2001: A Space Odyssey. Grofe's Grand Canyon Suite had a motif for every literal thing, even the lightening in the thundersqual and my dad loved to play it when I was around three. I listened very closely. So did '50s USA in general. The mood music craze took off then, with a ton of music that reflected a wide swatch of moods, perhaps peaking with the Mystic Moods Orchestra who furnished psychedelic muzak to a first generation of would-be zoners. And really the artistic peak of this pictoral way you can hear in Mahler's brilliant tone painting, not to mention Debussy and Ravel. Oh and Ives. And as you listen closely to Currentzis's reading of the 6th you experience the orchestrational richness of this music with a level of detail we rarely have experienced, if ever. It is as if you are given entrance to Mahler's aural imagination as he reflected on how the orchestra was to sound. You are inside his musical mind. I surely have not heard a more stirring and beautiful version of this symphony. It is as if we hear the work for the very first time. And that is saying a great deal. People who expected to find sonata form in all the music at that point missed out on what Mahler was after. He was a truly brilliant sound colorist. It was still all about the notes, sure. But it was all about how he shaded every possible sound to create an aural set of canvasses unparalleled in what came before, even from a Wagner. Things that followed from this period kept working toward a saturation of colors in sound. Listen to Webern and you hear a sort of anti-Mahler's Mahler, still extraordinarily attuned to the sound color possibilities. So also Messiaen, Boulez, Stockhausen, and a litany of such Modernisms. And the recording at hand reminds us how much we can truly hear with a conductor like Currentzis and, for that matter, a brilliant sound engineering job on the part of the Sony folks. This is a genuine phenomenon, a Mahler performance that should not be missed by anyone who cares about such things. The middle movements are tender to the point of tears and the outer movements have menace and a musical equivalent of volition that is stirring beyond the norm to say the least! Bravo! This is a 6th that changes the way you hear the 6th! Nordic Affect is an Icelandic Modern Chamber quartet. They have a new one. I covered an earlier one happily on March 6, 2017. One year and a half later I am still here. Still writing these reviews. And I am again happy to write on this group of very adept and forward leaning women, about their new album He(a)r (Sono Luminus 92224 CD & 5:1 Blue Ray Disk). Graphic design should have no other function than to introduce prospective listeners/customers to climb into the music, and initially to buy it. That said, knock-out type from a grey background would have gotten designers fired from every job I'd ever had in the pre-internet pre-DIY publishing and music days. If artists and persons involved ask me about a certain artist and release and I have no idea because I cannot even read the cover, there is something not right. And forgive me but I have real trouble reading the information on this release because the design is not geared for the reader but instead for some image thing. If you do not know what it is or what is on it, what are you getting from such graphics? I am grouchy today so I am saying it for this release but really it is true of maybe 70% of the music I receive. That being said let me try and decipher what it is I have been listening to happily. Halla Steinunn Stefansdottir is on violin and voice, Guorun Hrund Hardardottir is on viola and voice, Hanna Loftsdottir plays cello and uses her voice and Gudron Oskarsdottir plays harpsichord and too uses her voice. Now if I have spelled anyone's name wrong (and I am sorry about the accents, my system is not clearly adapted to such things) blame this design! Well there are seven compositions to be enjoyed on this program. There is ambiance, there are spoken word poeticisms and narratives, there is New Music interplay of a high order, post-counterpoint you might say. And the music is a very fine thing to me. Halla gives us the title composition and it goes by in a flash even though it is ten minutes long--that because it is a wondrous sculpting, a vibratoless post-modern chorale that fascinates and encourages to listen. He(a)r is a play on the English "hear" and the Icelandic "her" (with an accent), which means in the language "hear." Of course then I guess there is the play on "her" as a denotation of a woman. It is far from irrelevant since the feminine excellence of this music is an important trait, that it is a woman's musical force we hear and I say amen. I am not going to try and figure out the names and titles of the works here. They appear all to be Icelandic women and I congratulate them because the music is exceedingly beautiful and engaging. Not everything is new-lyric and that is good, just like a meal is best if it is not about one taste in unrelenting sameness. The space for the extended technique sort of Modernity is used creatively and wisely and it frames and brackets the tonal washes properly and bracingly. I could say a great deal more because this is not a music that easily fits into the usual labels. Yes everything about the Modern New Music scene has some relation to this set of musics. We hear on he(a)r a uniquely original stance that the compositions and performances embody. That is encouraging and also very rewarding to hear. So listen, do that and you will h(e)(a)r-(h)ea(r) and perhaps exclaim "here-here!" I did that to myself in response. Bravo! 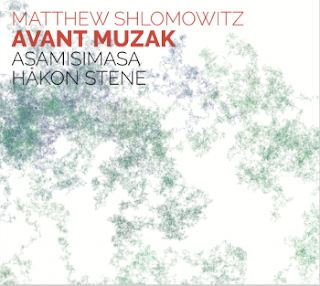 The key to the music of Matthew Shlomowitz as contained in the recent CD is latent in the two pronged idea of the title, Avant Muzak (ATD2). There is that double-take duplicity in the music made by the group asamisimasa, Hakon Stene on percussion and the composer manipulating and sequencing the sounds in various ways. The composer seeks to take musical and audio material that is often initially on the banal side and repurpose it to an Avant-Modern series of works. Here style permutes and mutates in fluid and unbounded ways. That can be liberating. So among the various musical strains are concrete sounds of appliances and tools, scratchy record surfaces, a baby crying, conversation snippets, sirens and alarms, electronic bleeps and bloops here and there, and what have you, including a small bit of music sampling outside of what the instrumentalists are doing here. There is what sounds like an Electronica rendition of Debussy's "Afternoon of a Faun" and it is both funny and oddly moving. This music does have a sense of humor and all the better for that. Otherwise the asamisimasa group and Stene are central to what goes on. 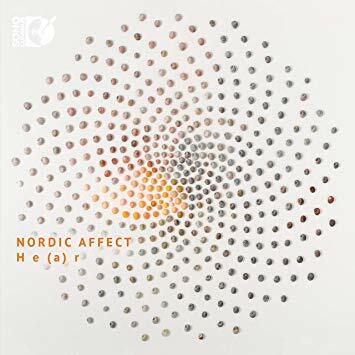 They most times form a sort of combo with Ellen Ugelvik on all manner of keyboards, Kristine Ugelvik on clarinet, Tanja Orning on cello, Anders Forisdal on sometimes quite electric guitar, and the aforementioned Hakon Stene on percussion, drums and electric drums I presume. There is a tension between real-time performance and the sampling style of Cubistic rapid cuts and juxtipositions. This is key to the sound overall. There are three suite-like works, each with multiple movements, "Popular Contexts 7: Public Domain Music," "Popular Contexts 8: Five soundscapes for a contemporary percussionist" and the title work "Avant Muzak." Most parts have vernacular elements, a Reggae motif, moments that sound like Progressive Avant Rock, etc. The best things have a deliberately scumbled chiaroscuro collaging going on. Real-time is on notice and the banality loses to the avant most of the time! You would do well to listen closely to the music as it tells you what you need to know far better than my words are doing here. With the Pop world taking a key from classic Electronic Music for so many decades now, we get a kind of reverse feedback with Shlomowitz's adventurous musical program. And it is a fitting payback. This you should hear. We spend most of us nowadays a good bit of our daily lives in virtual time. Shlomowitz gives us a vision of the absurdity and drama of that world, a sonic representation of the constant recombinatory nature of it all. It is a Post-Modern statement for sure and it epitomizes a kind of cultural mish-mosh in ways that are serious and funny at the same time. Recommended. This is an album that if it were never made, one might have to imagine it. Why? Because, for those that need to know, and sometimes that includes me, Canada is a real place with real people, a real country where everyone lives and dies like we all do and in between they make real art and real music, and we should not forget that and try to listen to it--the music I mean. Joni Mitchell and Neil Young, Oscar Peterson, OK, this should give you an indication that Canada is NOT some backwater. So what about Classical music? There are all kinds of things to hear and I try to cover as much as I can. 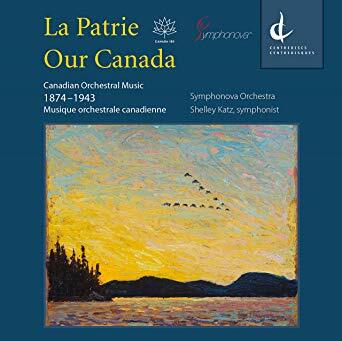 One that came out recently promises much even just in its title, La Patrie, Our Canada, Canadian Orchestral Music 1874-1943 (Centredisks 25618). Well as soon as I heard about it I made sure I got a copy. And I played it a bunch of times and loved the music, but there was something about the sound that puzzled me. In the acoustics of my current living space it was not clear. But then I listen with earphones today and I recognize what was strange. The instrumental performers are all very good, but then sometimes the masses of orchestral strings are sampled and that was what seemed so strange sounding. Shelley Katz is the person behind all of this. He calls himself the "symphonist," Truth to tell he creates an orchestral backdrop with only 12 musicians but it gives you an excellent of idea what a full blown orchestral reading would sound like. So that I must say right off the bat. He performs a miracle in a way. No problem so long as you realize this. No problem because this is music that needs to be heard. We get eight works by eight composers spanning the time indicated in the title. Some of the names I know and have heard the music by, but all too few and as I listen I know it has been my loss, because this is very worthwhile music in styles one might expect of each period, but not written by slouches or hacks, certainly. Far from that. So you get a work each by the likes of Calixa Lavallee (1842-1891), Clarence Lucas (1866-1947), Rudolphe Mathieu (1890-1962), Ernest MacMillan (1893-1973), Georges Emile Tanguay (1893-1964), Murray Adaskin (1906-2002), Violet Archer (1913-2000), and John Weinzweig (1913-2006). Most of these people were alive when we were (except maybe for some millennials) and so they are/were our contemporaries. And I must say it is good to hear this music. Is all of it breakthrough masterpieces that should have stopped the movement of time? Probably not. Still we need to hear this music and more of it I think. So bravo for it. After reading this if you feel you are interested, well do not hesitate. It gives you some of the Canadian music you might have missed. And good for that. Not missing it I mean. The Latvian composer Eriks Esenvalds (b. 1977) writes choral music that has a pronounced ambiance, replete with drones and spicy harmonics that flourish with such things as a major second simultaneity cluster or other exotic Modernism added to a sort of ritualistic old world palette. One might note the composer's general affinity with Arvo Part, except then you realize too that he goes his own way, with something one might call ceremonial choral diatonics with Post-Modern harmonic seasoning? At least that is what I hear on the nicely ruminating series of choral works that form the program on The Doors of Heaven (Naxos 8.579008), a CD that I have inadvertently overlooked for a little while but now unearth happily and I find myself gravitating towards. Estonia, Latvia, Georgia, places with old choral traditions that we hear in a batch of New Music composers, at least two anyway. Or maybe a few more too but there is the Orthodox Byzantine and beyond to a Russian Orthodox music spanning many centuries so there is a kind of glorious mystery music that we can see as precursors today among a few, even I would mention the late John Tavener. Yet all that is not at all obvious with Eriks Esenvalds. Just a kind of something in the "world air" so to say? The Portland Chamber Choir under Ethan Sperry give us ravishing readings of four Esenvalds works written over the recent present of 2006 to 2015. They flow together into a movingly ambient whole, each slightly different but all in the way of a piece. So it is a delight to hear "The First Tears" (2015), "Rivers of Light" (2014), "A Drop in the Ocean" (2006) and "Passion and Resurrection" (2006). 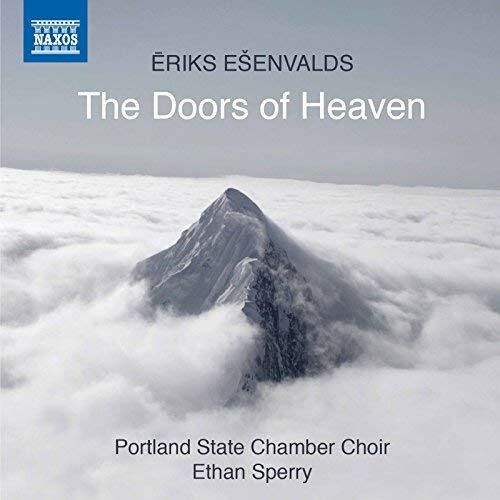 Esenvalds clearly has an excellent grasp of what might sound well with the SATB configuration and gives us ethereal sounds that transport us to an almost mythical, enchanted canopy of human voices. Why is it that such harmonic spiciness should sound so well with the right gathering of voices? One answer is that Esenvalds knows what will work and does it. Perhaps also because there is on a daily basis little enough Modernity for chorus that generally enters the ears in what one finds out there, or at least I am not overwhelmed with a vast amount of excellent Modern choral music. So this is all the more valuable for all that. This is music that transfixes, perfect perhaps for those eerie silent early winter evenings? Or fall sunny days where memories crowd the experiencing self and need to be coral-ed and sent packing after a while. This music supplies you with a magical present to counter all that with an effervescently obsidian sharpness and shine of memory flow! So heartily do I recommend this. Are we being exposed to too many obscure Late Romantics lately? It is possible that I am. But then I want to know all things musical, so I do ask for it. And how about some more Ernest Krenek somebody? All this is not so relevant today with Alfred Bruneau (1857-1934) because though he is pretty obscure and sometimes indeed rather Late Romantic he is in a French way also Pre-Impressionist with orchestral luster and twinkle and not all emotive gigantism. Not so much, just a bit. 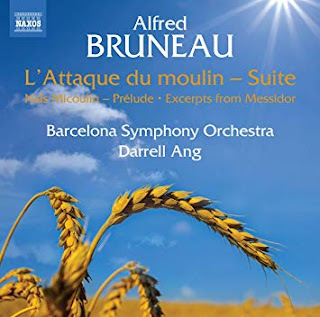 Or so that is at least the case on the new CD L'Attaque du moulin - Suite (Naxos 8.573888). L'Attaque (1893) plus the Prelude from ACT IV of "Messidor" (1897), the Prelude from ACT I of "Nais Micoulin" (1907) and Tableau I "La Legende du Or" from ACT III of "Messidore" (1897). There is a mood-setting, pictorially evocative strain to all this music, which is fitting as the works we hear function in several of his operas to set scenes. or in the case of the Suite there are three movements joined together as a "drame lyrique" that conjures a rustic world quite livingly pictorial. The liners call his efforts a kind of "natural theatre," a realism he shared with his friend Zola. Of course such things are more clearly contained in the overall sweep, in the libretto and dramatic arch of the full operas. And that for the sake of this program is not entirely here nor there. It does serve to frame the music that we do hear and is not at all irrelevant since the pictorialism is (one can suggest) an aspect of naturalism I suppose. So it is important to it keep in mind regardless. The influence of Wagner is to be felt throughout, but then there is something else that the liner/blurb calls appropriately "Gallic." Yes! He was a pupil of Massenet and one can find a bit of that if one looks for it. In all however there is something quite engaging in this orchestral music that gives us an original streak. He is to turn-of-the-century France as much perhaps as Ries was to early 1800s Austria (see my 11-23 review article of several days ago for that). That is, both were a solid and singular voice of their era who we have in large part forgotten today. Ang and the Barcelona Symphony handle these brilliant orchestrations with the attention to detail and faithfulness of execution appropriate to Bruneau's way. I would not hesitate to recommend this to anyone interested in the French scene as it was at the first sunrays of the dawn of the Modern Era. I am glad myself to have it and to hear it. This is the 3rd in my new Mini-Review Series, short reviews of things that are worth exploring but I have right now no time to cover in depth. 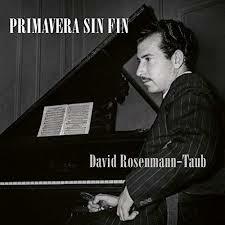 Pianist David Rosenmann-Taub is an avant garde player with a very dynamic and energetic style that falls in its own space somewhere between Cecil Taylor's Improv-Jazz and New Music keyboard explorations. There is sometimes multi-tracking, a very little bongo and a few add synthesizer, which is not quite as engaging to me as his piano. All are presented on the 2-CD Primavera Sin Fin (Endless Spring) (MSR Classics MS1353 2-CDs). He is someone to contemplate, and when he is totally on top of things, he shines with some brilliance. So I do recommend you listen! A second in the Mini-Review Series; things I simply must say nice things about but have run low on time. OK, anyone with even a passing fancy for the music of Schubert, you are on notice. With the beautiful 3-LPs that came out in the Stone Age, by Badura-Skoda and Demus, as perhaps at least some of it is on CD now, where do I get off talking about Goldstone & Clemmow's 7-CD The Complete Original Piano Duets (Divine Art dda 21701)? Note that it is the COMPETE duets. Plus it ends each disk with a Schumann "Polonaise." The Duo does a nice job with the music, and the music itself is really worth having if you are Schubert-centric like I am. Perfect for the holiday stocking, but for yourself!